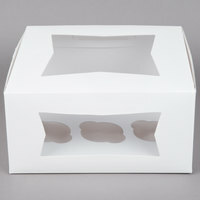 Watch your delicious baked goods soar out of the door with this 9" x 7" x 3 1/2" white auto-popup window cupcake / muffin box! 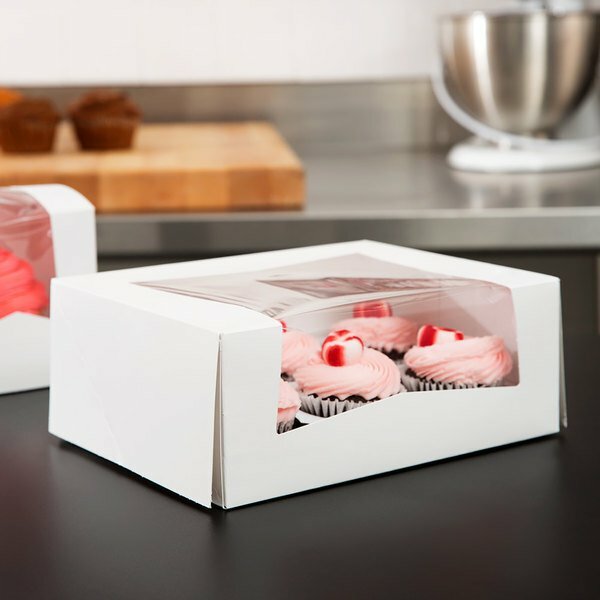 This window cupcake / muffin box is perfect for merchandising standard-size cupcakes or muffins in your front of the house displays! 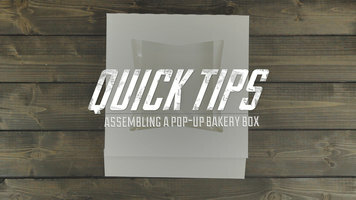 Its auto-popup design saves time and makes assembly quick so that you can offer fast and efficient service at your bakery. The viewing window also displays the product for quick and easy identification. Once the window is removed, you can recycle this box, making it a great eco-friendly option for your business. "These boxes are so versatile! Not only can I got 6 cupcakes, but I use them for brownies/bars, cookies, and even mini cupcakes. They are a great size to have on hand and a great value. 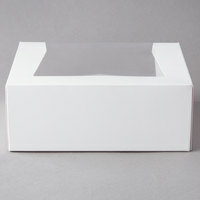 The window is a nice touch, especially when I do mini cupcakes for cake tastings, it shows off…"
Made of durable, high-quality solid bleached sulfate (SBS) paperboard, this convenient, time-saving bakery box is built strong to ensure your items are protected while on display or in transport. Plus, it is unmarked, allowing you to quickly add custom labels and stamps for a pop of personalization. Featuring a crystal clear viewing window for optimal visibility, this box puts your delicious treats front and center for a mouthwatering display. Plus, it allows your customers to easily identify the contents as they transport the box to their next destination! 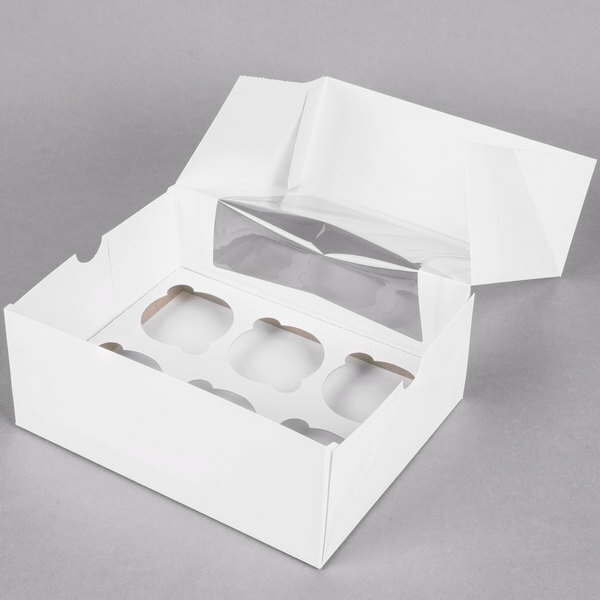 An included compostable insert fits snugly into the box, holding 6 standard sized cupcakes or muffins at a time. 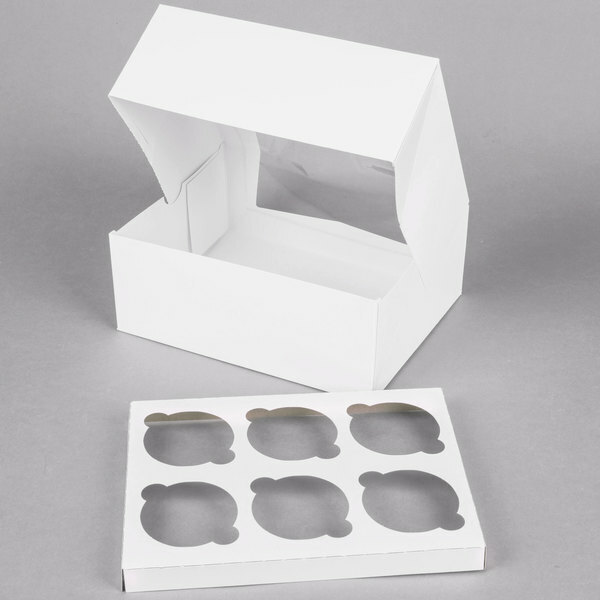 Each pack includes 10 window cupcake boxes and 10 cupcake inserts. 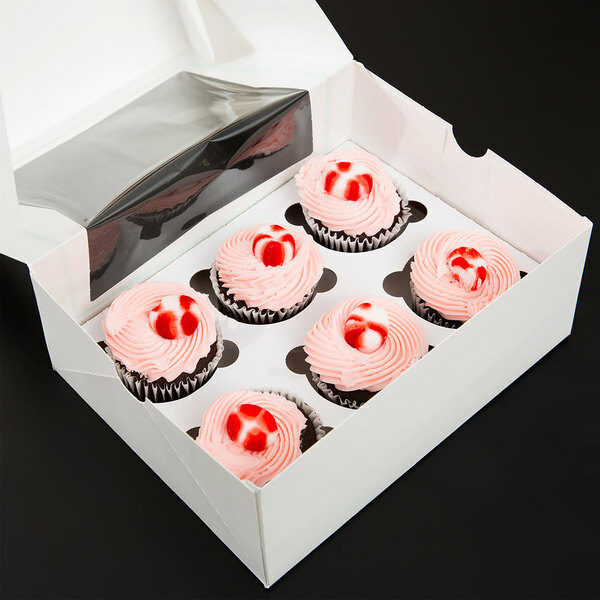 I love this box for my 6 pack cupcakes! I use a lot of these when I have a cupcake sale they are also good for other treats! The perfect cupcake box! 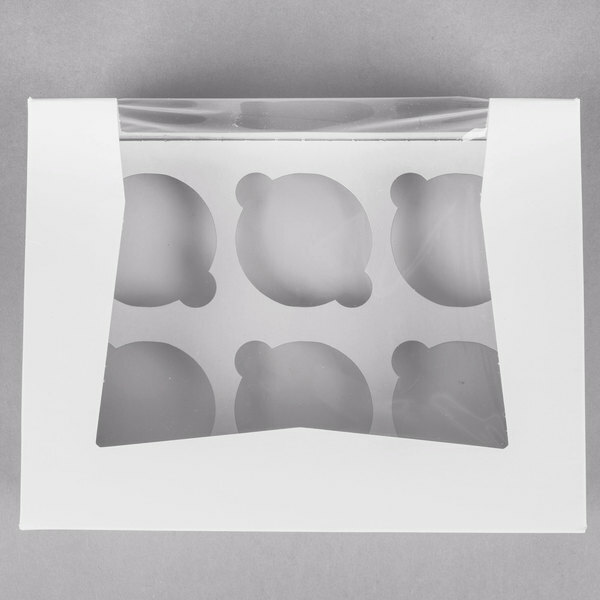 The top window allows for a perfect view of the product and the size makes for easy transport. Customers love to see what they are buying! I really love these boxes and wish I'd bought more. They pop right into place and then you just fold and add the insert. Really like that the window gives people a look at the inside so they can anticipate the yummy treats to come. This is the perfect box for when you want to give out cupcakes but a dozen is too many. I’m giving this a 5/5 stars! I have found no flaws with the product and I will continue to use it. I use this to transport cupcakes, cookies and even strawberries! Love love love love these boxes. The window is a good size and comes down the side of the box as well. 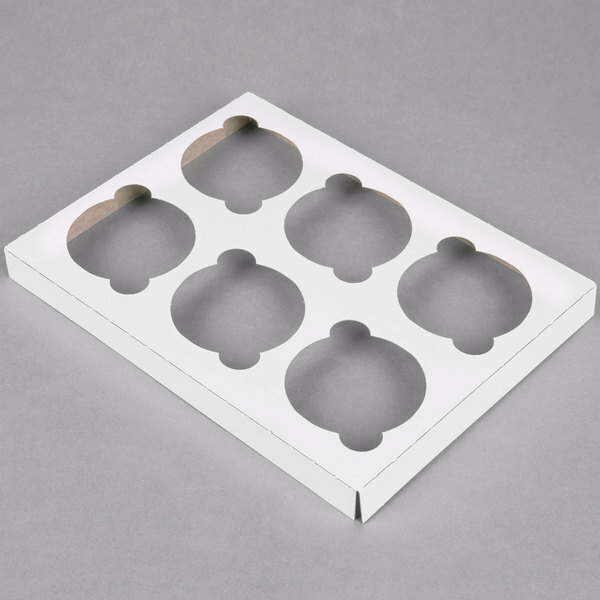 It fits 6 cupcakes with the insert and maybe 9 cupcakes without if you packed them in. Also, the assemble is so easy! You open it up, pop the top and bottom part up and voila! All set to deliver! 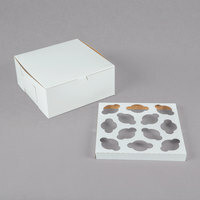 Definitely sticking with these boxes for my bakery! I am in love with the look of this bakery box. The addition of the window is a beautiful feature. i will definitely be ordering these boxes again. I love these!! they look so fancy ! .. i will be repurchasing these in a bigger bulk. I use them for cupcakes, cookies, French Macarons! These boxes are so versatile! Not only can I got 6 cupcakes, but I use them for brownies/bars, cookies, and even mini cupcakes. They are a great size to have on hand and a great value. The window is a nice touch, especially when I do mini cupcakes for cake tastings, it shows off the variety perfectly! They are great quality and perfect for my business. I'm a home baker and do small cupcake orders and absolutely love these boxes! They are perfect for 6 cupcakes and a perfect gives me a perfect box for presentation for my product! Love these! They are easy to put together and also sturdy. My favorite thing about them is the overall size of the box. It is not too large as the spots for the cupcakes are perfectly spaced. They even fit muffins! The height leaves plenty of room for toppings and the window is not too flimsy and displays your creations clearly. I absolutely loved these boxes. I used them for a giveaway promotion for my cupcake business. 6 was just right to give away. The presentation spoils you for all other boxes! The view of product is a complete package. It showcases your work beautifully. Great quality and the material it's made from makes it look fancy , i bought these and served my cupcake orders in them , they looked so cute! Awesome product! Perfect size to give as gifts. The boxes are sturdy and secure. Great height for even the tallest pile of icing! Goes together very easily!